Welcome to a gathering of over 200 automobiles that is diverse and all encompassing, one that illustrates the evolution and art of the automobile and its role in our lives. Where did the Collection come from? The catalyst for Classic Car Collection was the donation of 131 automobiles from Bernie and Janice Taulborg in 2011, plus the 2015 donation of six more Taulborg vehicles. In fact, the Taulborg Collection represented more than four decades of acquiring and restoring vintage vehicles of wide-ranging styles. Since then, the museum has added several vehicles, one provided through generous donations from other owners like local car enthusiasts, and these two categories of vehicles create the permanent collection. In addition to the permanent exhibits, the museum typically displays around 60-65 loaner vehicles. The variety of loaners is regularly changing, ensuring a fresh display each time you visit the museum. The collection and facility are cared for and maintained, primarily, by our wonderful team of volunteers, and we are supported partially by donations from giving friends and benefactors, as well as through our Friends of the Museum program. Classic Car Collection is dedicated to presenting an entertaining yet artful perspective of the major role that the automobile has played relative to history, culture, industry, and innovation. Along with over 200 vehicles, visitors to Classic Car Collection will find authentic vignettes, artwork, mannequins, and other items. Moreover, we embrace and use technological, interactive displays to help illustrate the wide-sweeping effects that automobiles continue to have on our lives. The museum has recreated a 1950s gas station, with both vintage tools and modern devices, which show the progression of technical sophistication and advancement. There is also a drive-in theater display that incorporates the original ticket booth from the local Kearney Drive-In. Other technological displays include various video screens showing historical footage and events. 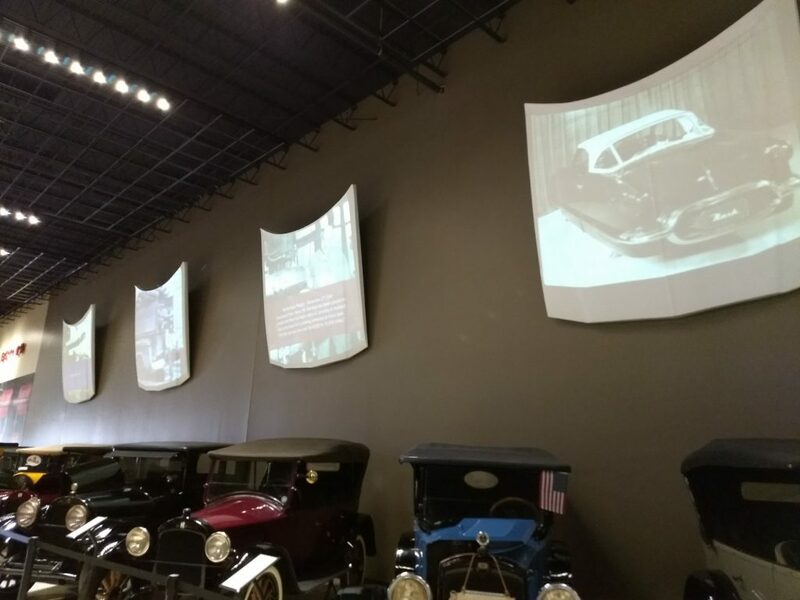 However, the terrific “Car Hoods Project” is the crowning bit of technology, using recreated car hoods as projects screens, providing historical yet entertaining footage. 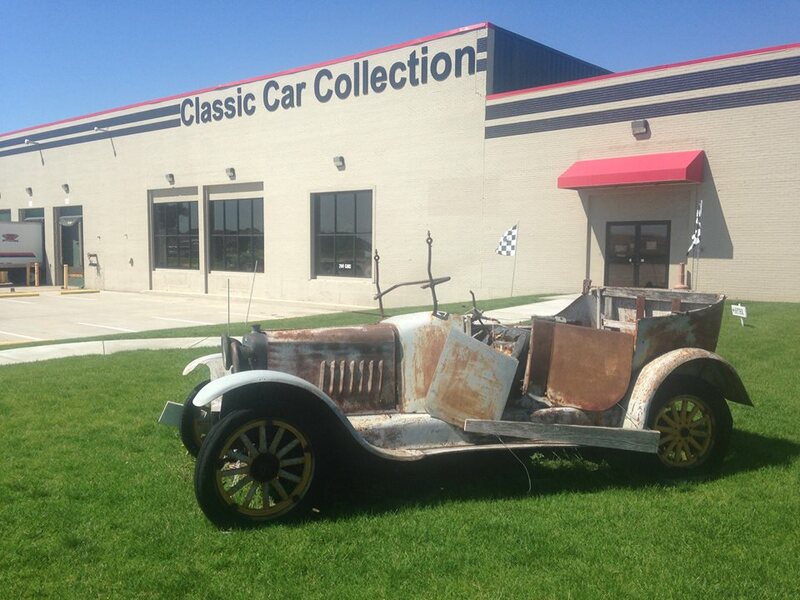 Of course, the heart of Classic Car Collection is found in the 200+ automobiles in our 50,000 square-foot showroom. The museum includes several rare and historic vehicles, including a unique 1938 Rolls Royce Wraith Limo, two Locomobiles and three Pierce Arrows. Also displayed are two rare Lincolns from the Full Classic era, a 1930 Convertible by LeBaron—one of 80 produced, and a 1930 Dual Cowl Phaeton—one of only 20 produced. These are accompanied by similarly rare automobiles from Packard, Cadillac, Buick, and LaSalle. CCC is equally as excited to share many other uncommon marques, some that most have never seen before, including Moon, Gardner, Maxwell, Jewett, Gray, and Metz. Additionally, you will find wonderful examples from Studebaker, Hudson, Mercury, and Chrysler. The Collection also showcases exquisite over-the-top 1950s style, from the huge tailfins on a 1959 Cadillac to the stylish overload of an exquisite 1957 Mercury Turnpike Cruiser. Muscle car exhibits include several rare Mopar cars, a supercharged Shelby Mustang GT 350, and an early GTO. Sports cars are also on display, from such makes as Ferarri, Porsche, DeLorean, Lancia, Bricklin, MG, and Triumph. Similarly, the 1930 MG Boattail Roadster, with its wood framed, fabric covered body is a wonderful historic look at the origins of the sports car. 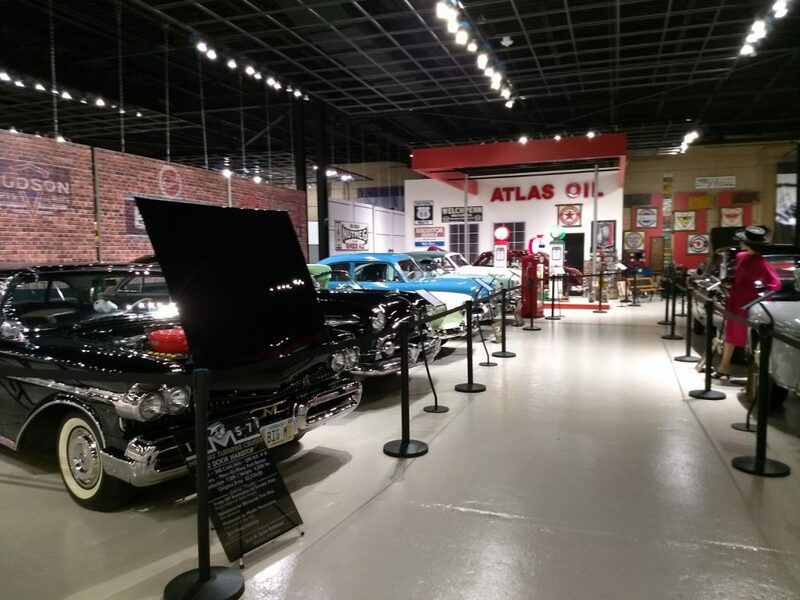 By visiting the Classic Car Collection, you will be partaking in a very important mission: celebrating the automobile as a vital element of art, industry, freedom, and history. 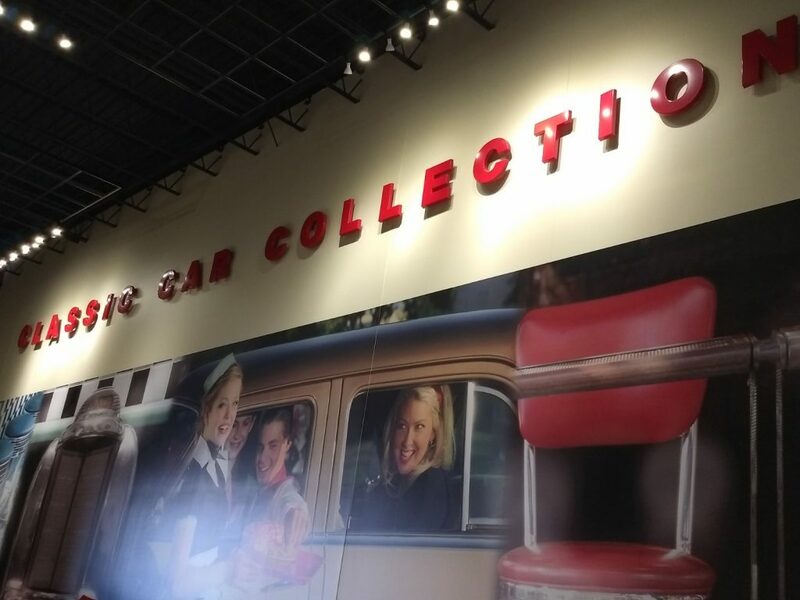 While here, feel free to visit our resource center—an impressive library devoted to automotive history and expertise; view our automotive art on display, and share any car stories you might have! This “Gem of the Great Plains” (as mentioned in Old Cars Weekly, March 2017) will not disappoint. No matter how “into” automobiles you may be, you’re sure to find something you’ll enjoy. 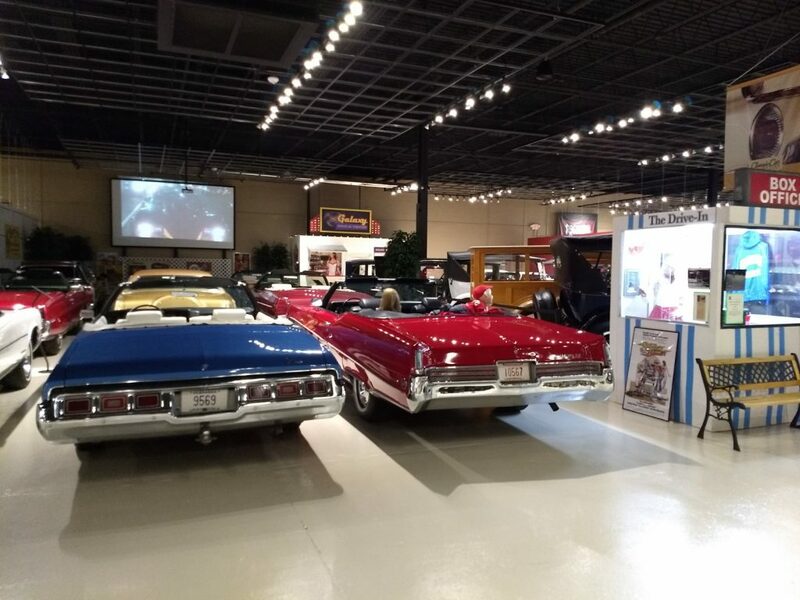 Voted #1 destination on TripAdvisor for the last 5 years, Classic Car Collection should be at the top of your list when visiting Kearney, Nebraska. NOTE: LAST ADMISSION WILL BE 45 MINUTES BEFORE SCHEDULED CLOSE TIME. *Classic Car Collection is a 501c3 non-profit venue and we graciously accept your volunteer help, tax deductible financial or other donation, vehicle loan, and suggestions to help us thrive and grow.